Death: 4 March 1807, at Washington, D.C.
Interment: Rock Creek Cemetery, Washington, D.C.
Pencil drawing, by Robert Fulton (early nineteenth century); National Portrait Gallery. Abraham Baldwin, who represented Georgia at the Constitutional Convention, was a fervent missionary of public education. Throughout his career he combined a faith in democratic institutions with a belief that an informed citizenry was essential to the continuing wellbeing of those institutions. The son of an unlettered Connecticut blacksmith, Baldwin through distinguished public service clearly demonstrated how academic achievement could open opportunities in early American society. Educated primarily for a position in the church, he served in the Continental Army during the climactic years of the Revolution. There, close contact with men of widely varying economic and social backgrounds broadened his outlook and experience and convinced him that public leadership in America included a duty to instill in the electorate the tenets of civic responsibility. Baldwin also displayed a strong sense of nationalism. Experiences during the war as well as his subsequent work in public education convinced him that the future well-being of an older, more prosperous state like Connecticut was closely linked to developments in newer frontier states like Georgia, where political institutions were largely unformed and provisions for education remained primitive. His later political career was animated by the conviction that only a strong central government dedicated to promoting the welfare of the citizens of all the states could guarantee the fulfillment of the ideals and promises of the Revolution. The Baldwins were numbered among the earliest New England settlers. Arriving in Connecticut in 1639, the family produced succeeding generations of hard-working farmers, small-town tradesmen, and minor government officials. 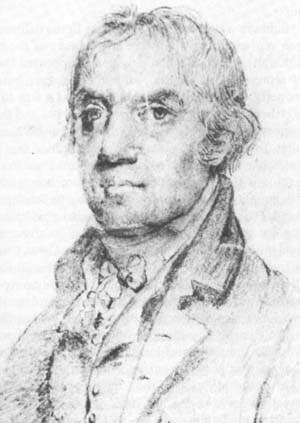 Abraham Baldwin's father plied his trade in Guilford, where he eventually rose to the rank of lieutenant in the local unit of the Connecticut militia. A resourceful man with an overriding faith in the advantages of higher education, he moved his family to New Haven where he borrowed heavily to finance his sons' attendance at Yale College (now Yale University). Abraham Baldwin never married, but he made a similar sacrifice, for after his father's death he assumed many family debts and personally financed the education of the family's next generation. Baldwin graduated from Yale in 1772, but, intending to become a Congregationalist minister, he remained at the school as a graduate student studying theology. In 1775 he received a license to preach, but he decided to defer full-time clerical duties in order to accept a position as tutor at his alma mater. For the next three years he continued in this dual capacity, becoming increasingly well known both for his piety and modesty and for his skill as an educator with a special knack for directing and motivating the young men of the college. Baldwin's continuing association with Yale College contributed directly to his entry into military service. The college, which had produced a major share of Connecticut's clergy for nearly a century, now became the major source of chaplains for the states Continental Army contingent. Baldwin apparently served as a chaplain with Connecticut forces on a part-time basis during the early stages of the war, and finally in February 1779 he succeeded the Reverend Timothy Dwight, another Yale tutor, as one of the two brigade chaplains allotted to Connecticut's forces. He was appointed as chaplain in Brigadier General Samuel H. Parsons' brigade, remaining with the unit until the general demobilization of the Army that followed the announcement of the preliminary treaty of peace in June 1783. The duties of a Revolutionary War chaplain were quite extensive, varying considerably from the modern concept of a clergyman's military role. In addition to caring for the spiritual needs of the 1,500 or so soldiers of differing denominations in the brigade, Baldwin assumed a major responsibility for maintaining the morale of the men and for guarding their physical welfare. He was also assigned certain educational duties, serving as a political adviser to the brigade commander and subordinate regimental commanders. In his sermons and in less formal conversations with the officers and men he was expected to help the soldiers understand the basis for the conflict with the mother country and thereby to heighten their sense of mission and dedication to the Patriot cause. Although Baldwin's unit did not participate in combat during the last four years of the war, it still played a major role in Washington's defensive strategy. The Connecticut brigades were assigned to garrison duty near West Point. There they helped secure vital communications along the Hudson River and guard this critical base area against British invasions. They performed their mission well; the Continental brigades in the Hudson Valley formed the bedrock of Washington's main army against which no British general was likely to attack. With his center thus secured, Washington was free to launch successful offensive operations against smaller enemy forces in other parts of the country. The soldiers in Baldwin's brigade eventually trained for an amphibious attack on the British stronghold at New York City late in the war, but the plan was never put into effect. Baldwin had little to do with these purely military matters, but his service as a chaplain proved vital to the Patriot cause. Along with the rest of the main Continental line units from the New England and middle states, Baldwin's Connecticut brigade had weathered the darkest days of the war. During 1778 these units had received rigorous training under Washington's famed Inspector General, Frederick von Steuben, and they had emerged as seasoned professionals, the equal of Britain's famous Redcoats. Nevertheless, the' deprivations of such a long war exacted a toll on morale, leading to desertions and occasional mutinies in the 1780s. The Connecticut units, however, remained among the most reliable. Thanks in great part to the success of leaders like Baldwin, the troops had been thoroughly educated as to the nation's war aims and the need for extended service by the Continental units. As a result, Connecticut stood firm. Military service in turn had a profound influence on Baldwin's future. During these years he became friends with many of the Continental Army's senior officers, including Washington and General Nathanael Greene, who would take command in the south in late 1780. He was also a witness to Major General Benedict Arnold's betrayal of his country. These associations moved the somewhat cloistered New England teacher and theology student toward a broader political outlook and a strong moral commitment to the emerging nation. In 1783 Baldwin returned to civilian life and to a change in career. He rejected opportunities to serve as a minister and to assume the prestigious post as Yale's Professor of Divinity. While still in the Army he had studied law and had been admitted to the Connecticut bar. Now, after settling his family's affairs, he left New England for the frontier regions of Georgia, where he established a legal practice in Wilkes County near Augusta. Two men probably influenced this decision. Nathanael Greene had announced his intention to move to the state he had so recently freed from British occupation and was encouraging other veterans to join him in settling along the frontier. More importantly, Governor Lyman Hall, himself a Yale graduate, was interested in finding a man of letters to assist in developing a comprehensive educational system for Georgia. He apparently asked Yale's president, Ezra Stiles, to help him in the search, and Baldwin was persuaded to accept the responsibility. Baldwin decided that the legislature was the proper place in which to formulate plans for the education of Georgia's citizens. A year after moving to the state, he won a seat in the lower house, one he would continue to hold until 1789. During his first session in office he drew up a comprehensive plan for secondary and higher education in the state that was gradually implemented over succeeding decades. This plan included setting aside land grants to fund the establishment of Franklin College (today's University of Georgia), which he patterned after Yale. Baldwin quickly emerged as one of the leaders in the Georgia legislature. In addition to sponsoring his educational initiatives, he served as the chairman of numerous committees and drafted many of the states first laws. His role reflected not only an exceptional political astuteness, but also an ability to deal with a wide variety of men and situations. As the son of a blacksmith, Baldwin exhibited a natural affinity for the rough men of the Georgia frontier; as the graduate of one of the nation's finest schools, he also related easily to the wealthy and cultured planters of the coast. This dual facility enabled him to mediate differences that arose among the various social and economic groups coalescing in the new state. As a result, he exercised a leadership role in the legislature by devising compromises necessary for the adoption of essential administrative and legal programs. Baldwin's exceptional work in the legislative arena prompted political leaders in his adopted state to assign him even greater responsibilities. In early 1785 Georgia elected him to the Continental Congress, initiating a career in national government that would end only with his death. Although he had moved to Georgia to serve as a "missionary in the cause of education:' as he put it, he nevertheless willingly assumed the burdens associated with national politics in the cause of effective government. In 1787 Georgia called on Baldwin to serve in the Constitutional Convention -where, avoiding the limelight, he earned the respect of his colleagues both for his diligence as a delegate and his effectiveness as a compromiser. Baldwin was an active participant in the deliberations over representation that were at the heart of the constitutional process. He had originally supported the idea of representation in the national legislature based on property qualifications, which he saw as a way to bond together the traditional leadership elements and the new sources of political and economic power. When delegates from his native state convinced him that small states like Connecticut would withdraw from the Convention if the Constitution did not somehow guarantee the equality of state representation, he changed his stand. His action tied the vote on the issue and paved the way for consideration of the question by a committee. Baldwin eventually helped draw up the Great Compromise, whereby a national legislature gave equal voice to all thirteen states in a Senate composed of two representatives from each, but respected the rights of the majority in a House of Representatives based on population. His role in this compromise was widely recognized, and Baldwin himself considered his work in drafting the Constitution as his most important public service. After the adoption of the Constitution, Baldwin continued to serve in the last days of the old Continental Congress and then went on to serve five terms in the House of Representatives and two terms in the Senate, including one session as the President Pro Tem of that body. His political instincts prompted him to support the more limited nationalist policies associated with James Madison, and he was widely recognized as a leader of the moderate wing of the Democratic-Republican party. Throughout his years of congressional service, Baldwin remained an effective molder of legislative opinion, working in committees as well as in informal political circles to develop the laws that fleshed out the skeletal framework provided by the Constitution. Baldwin's political philosophy was encapsulated in his often quoted formula for representative governments: "Take care, hold the wagon back; there is more danger of its running too fast than of its going too slow." A man of principle, who had learned much from his service in the Continental Army, Baldwin demonstrated throughout a lengthy public career the value of accommodation between competing political interests, the critical need of national unity, and the importance of education to a democratic society.